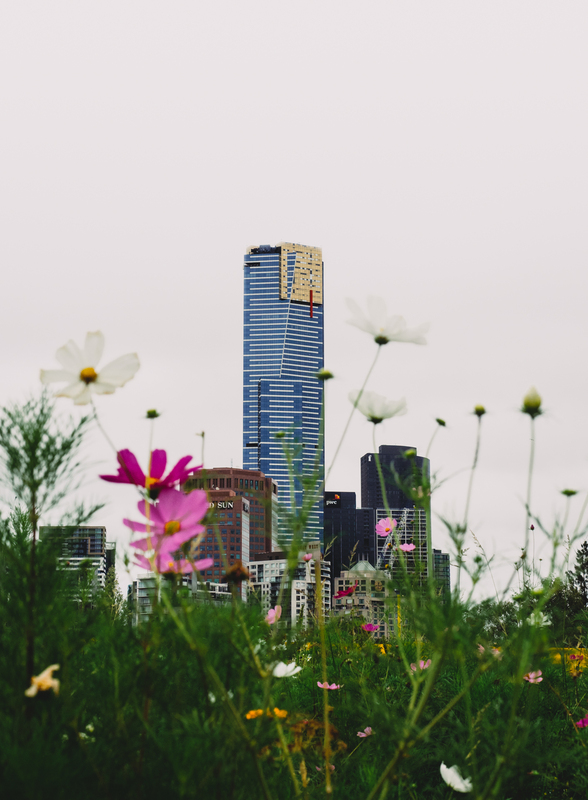 There’s something monolithic about Eureka Tower. If you happen to see it at exactly the right time, on exactly the right day, the rising sun reflects off the golden surface, shining into the city from way above. This wasn’t one of those days… instead, we had a sky of soft, uniform grey. Bad for beams of light, nice for nature and floral photography. So, we headed to this small triangle of green, where wild flowers of many colours grow, so close to the centre of the city. And there, we saw a kind of beauty that really puts the Tower into perspective.